← Wedding bouquets- not so smelly anymore! Wow. Just amazing. We love what the designers here did with this wedding arbor. 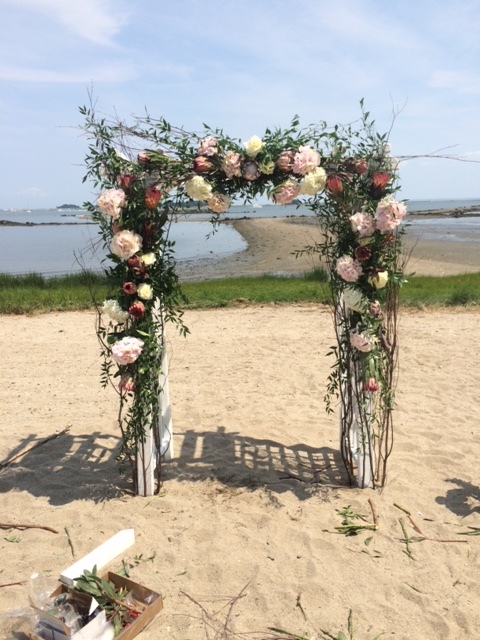 Situated on a private beach in Rowayton, CT for a wedding, the views were stunning and the soft and whimsical flowers just added to the ambience. We can just imagine the beautiful couple uniting their life under this breathless arrangement!